With nearly all the votes counted, Benjamin Netanyahu’s Likud-Beitenu bloc is claiming victory in Israeli parliamentary elections. 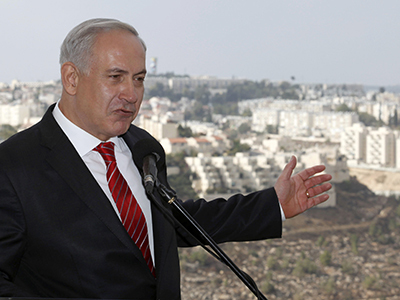 The Prime Minister has lost seats in the Knesset, but still remains the only likely head of the new government. "I am proud to be your Prime Minister, and I thank you for giving me the opportunity, for the third time, to lead the state of Israel," Netanyahu told a cheering crowd at his campaign headquarters. After nearly all the votes are in, Netanyahu's Likud-Beitenu holds the most number of Knesset seats with 31; a significant loss from the previous 42. Their position in the parliament now will depend on the coalition they manage to form. The preliminary count shows right and centrist-left parties face off with a tie of 60 to 60 seats in the 120-seat parliament. No doubt though, Netanyahu is firmly in the lead, and all eyes will turn to how much support he gets from potential allies. The centrist Yesh Atid – the surprise of the election – gets 19 seats, and they have not yet responded to Netanyahu's call for cooperation. The Labor party came third with 15 seats. With the final face of the government yet to be determined, the rise of the centrists indicates Israelis want more social change in place. "Israelis are growingly becoming more aware of the deteriorating economy of their country, of the gap between the rich and the poor," says Ramzy Baroud, Palestinian-American journalist and editor for palestinechronicle.com. "Netanyahu may use the Iran scenario to distract the public from the problems that the coalition government is soon to face," he adds. "The first challenge was and remains preventing Iran from obtaining nuclear weapons," he said as soon as first exit polls appeared. Israel's current itch to strike Iran and put an end to its nuclear ambitions may be the only 'real' thing that stands in the way of fixing fences with the US, believes Jamal Abdi, the policy director of the National Iranian American Council. 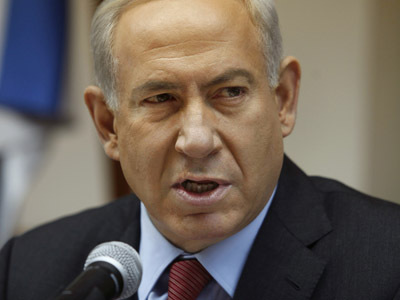 Netanyahu insists the time for military action is running out and Iran is about to get a nuclear bomb. Having promoted the idea of a strike with the White House, but failing to find support, Netanyahu is now readying his country to take unilateral action against Iran, a move very unlikely to find sympathy with the US. Other widely-discussed and criticized policies of the Israeli government, such as the Palestinian-Israeli dynamic, or illegal building in the West bank, are of little interest to the White House, says Jamal Abdi, "the only source of friction that might be there is the issue of Iran." Whatever coalition will come to power as the result of the election, it won't affect Israel's policy on the Israeli-Palestinian peace process, and settlement construction, political analysts believe. "Israeli bulldozers will not slow down for a minute whether it be a coalition with its bulk coming from Yesh Atid or a coalition exclusively or largely reliant on the ultra-orthodox or the ultra-nationalist. If you look into the record of Israeli governments, whether the two terms of Benjamin Netanyahu or previous governments under the Labor party or Kadima, nothing really changed on the ground the settlements continue to grow," Ramzy Baroud told RT. "There is a consensus within Israeli society, the Israeli political elite, that the issue of the settlements is the issue that cannot be bargained upon, the differences are mostly tactical" he added. "As for the peace process, things will at a stand still, there is no peace process, there hasn't been a peace process for years and most likely there won't be a peace process under Netanyahu or under the mentality by which Israel is governed". 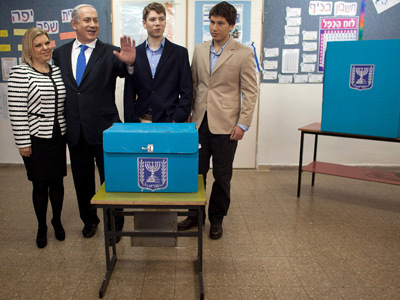 Across Israel, voter turnout was the highest in a decade. 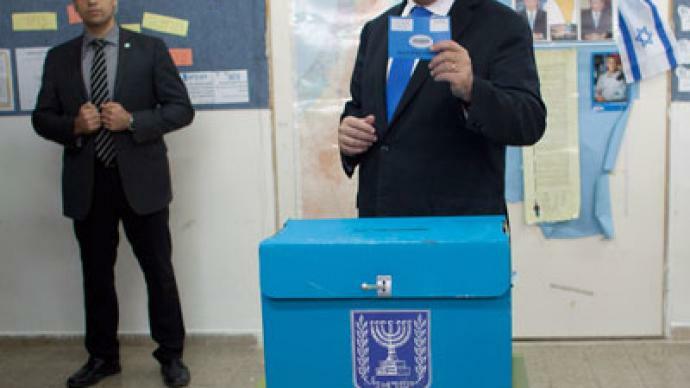 In a four per cent increase from the 2009 election, 66.6 per cent of eligible Israeli voters went to the polls this year (not including soldiers). Despite active campaigns to attract Arab voters to the polls, their turnout is reported lower than ever. 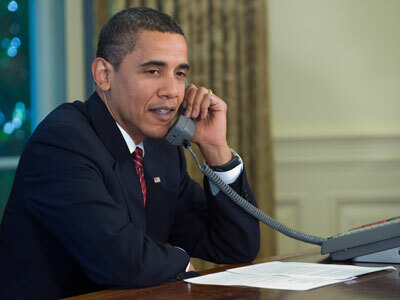 Netanyahu agreed to ceasefire after Obama promised US troops in Sinai next week?